It's another double day giveaway to help celebrate the TJNL's 5th Anniversary! Today's first sponsor is Penny Wise Arts . 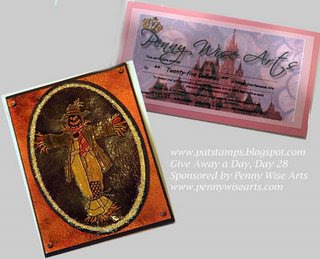 If you're the first winner - you'll get a $25.00 gift certificate for the Penny Wise Arts website. Today's second sponsor is a package of stamps and paper from Club Scrap. 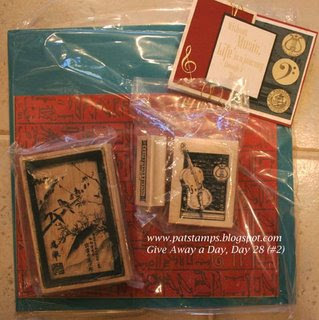 To enter the giveaway for today, simply leave a comment on Pat's blog entry telling her that you would like to enter. Enter by 11:59pm EST on Monday, October 29, for your chance to win. Whoops, I actually thought I was on Pats blog for a minute. Sorry for the last post. Tee Hee, I am off to have more coffee!